There Are so Many Ways It Can be Used! 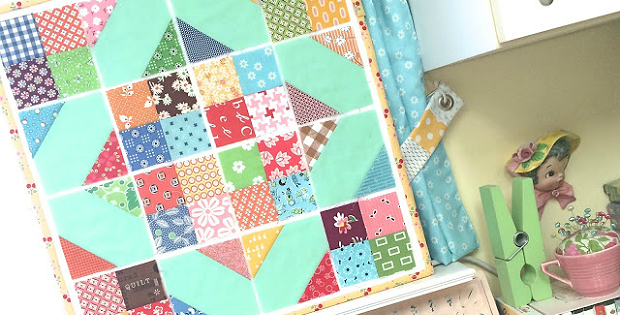 This beautiful block is perfect for using up 2 1/2″ squares, and there’s so much you can do with it. Plus, it’s quite easy to construct. 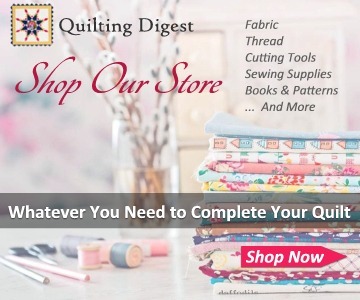 Finish off the oversized block for a small wall quilt or table mat. String three together for a lovely table runner. 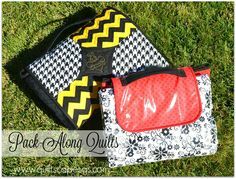 Sew four into a square for a baby quilt or keep going and make a larger quilt. The block on a design board, showing how it might look with binding. 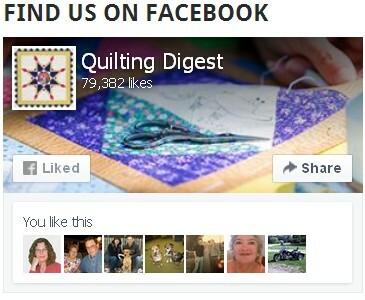 If you’ve been stashing away leftovers cut into 2 1/2″ or 5″ squares (cut into 4), you’re all ready to go. 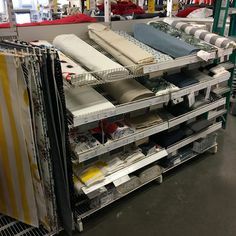 Put together a nice combination and choose a solid accent color to tie them together. Block segments are displayed on a design board. 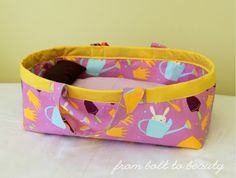 The instructions, by Lori Holt from Bee in My Bonnet, have been simplified for easy and accurate results. 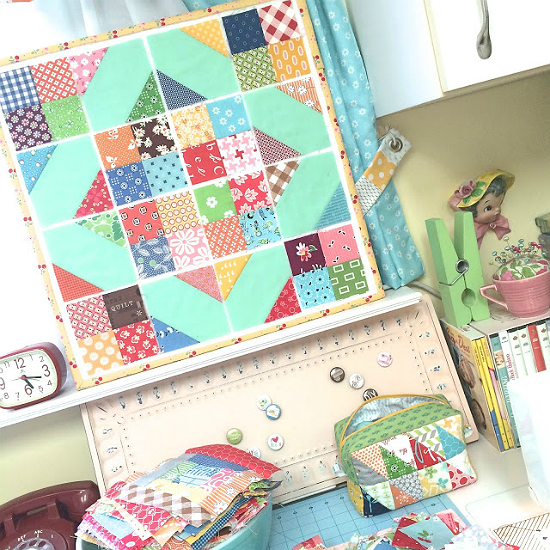 We think you’ll love how nicely the block goes together. Two blocks together on a design board (right side) showing the design that emerges when blocks are combined. 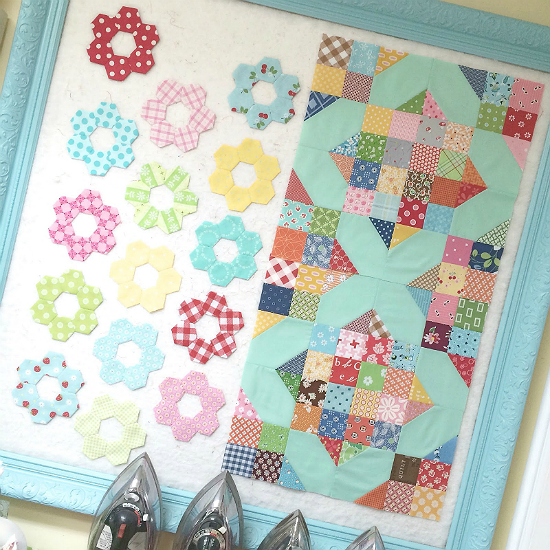 The finished block is 16″ square. 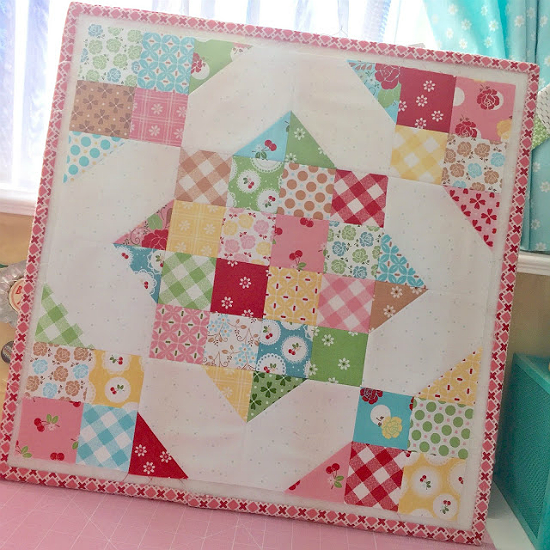 Click here for the free “Scrappy Cross Roads Block” tutorial.